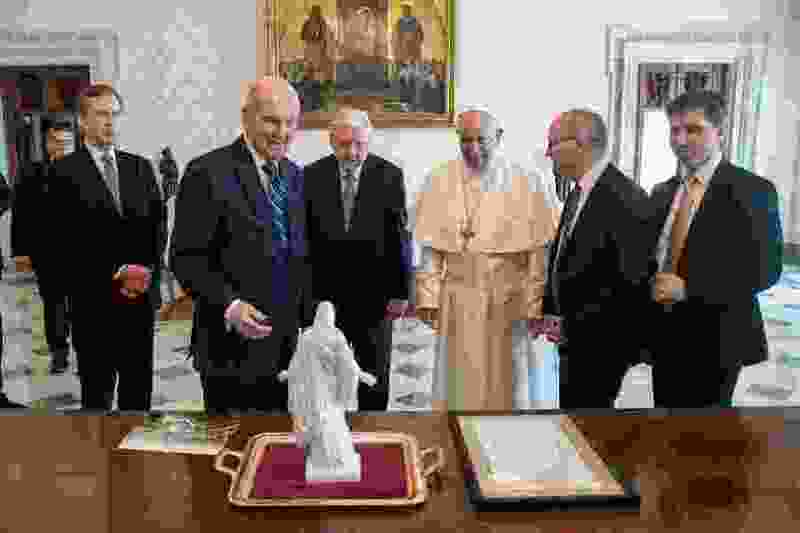 (Photo courtesy of the Vatican) President Russell M. Nelson presents Pope Francis with a small statue of the Christus and a framed copy of the church’s proclamation on the family. 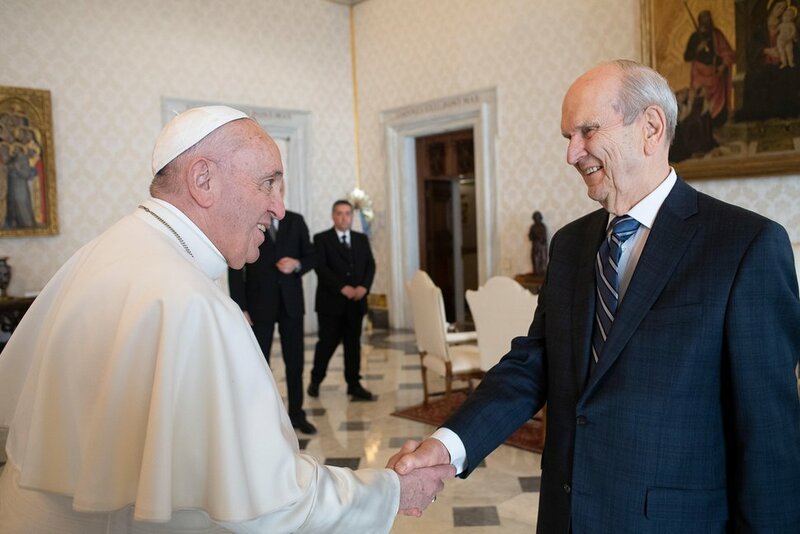 President Nelson and President M. Russell Ballard visited with the pope on Saturday, March 9, 2019. Thirty-three minutes. That’s how long President Russell M. Nelson’s private audience with Pope Francis lasted at the Vatican. But the first-ever face-to-face meeting between a Latter-day Saint prophet and a Catholic pontiff was months — if not longer — in the making, and its impact might be felt for years to come. Or will it? Was this historic encounter more about symbolism than substance? 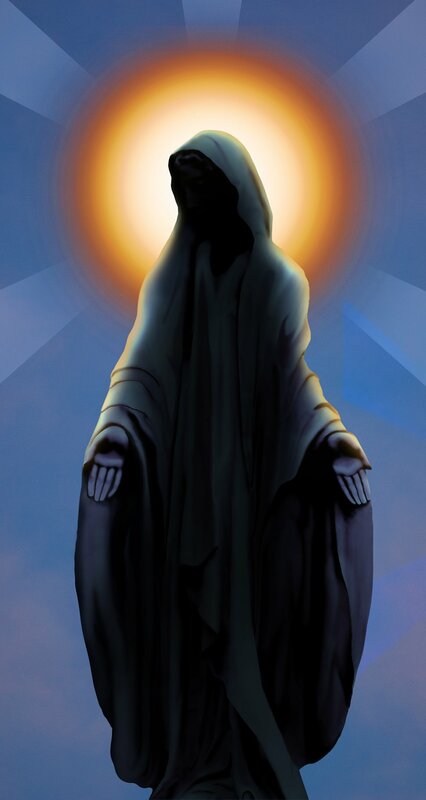 Or is that symbolism, ultimately, more important than any substance? Patrick Mason, head of Mormon studies at Claremont Graduate University, discusses those questions and more. 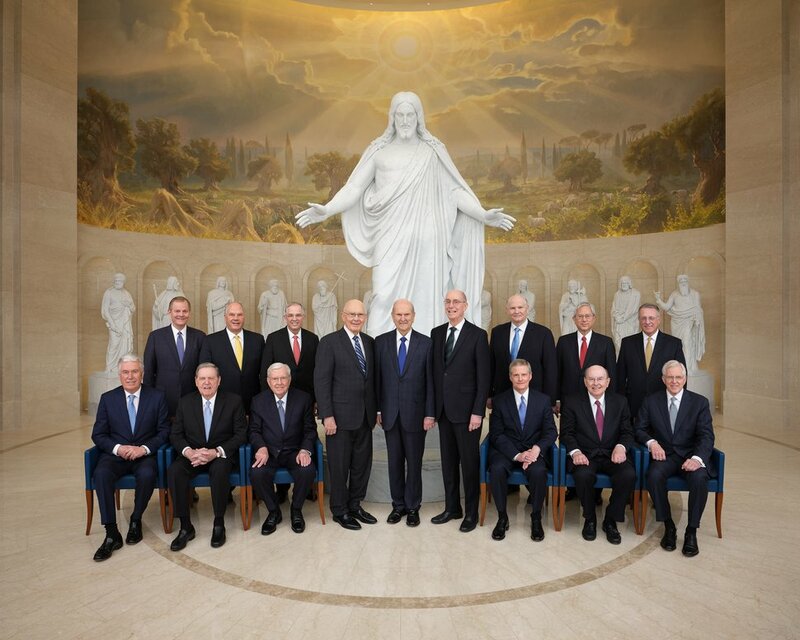 (Photo courtesy of The Church of Jesus Christ of Latter-day Saints) The First Presidency and Quorum of the Twelve Apostles in the Rome Italy Temple Visitors' Center. • Held a historic 33-minute meeting with Pope Francis. “How fortunate the Catholic people are to have such a gracious, concerned, loving and capable leader,” Nelson said after the two leaders — along with apostle M. Russell Ballard — discussed joint efforts to relieve human suffering around the world, touted the importance of religious liberty and lamented the rise of secularization and the decline in faith. Thirteen wives of these top authorities were on hand in Rome, but no high-ranking female church leaders were present for the ceremonies. (Photo courtesy of The Church of Jesus Christ of Latter-day Saints) Bonnie H. Cordon, left, and Jean B. Bingham, right, visit Rebecca Naa Okaikor Akufo-Addo, the first lady of the Republic of Ghana, at North Ridge in Accra, Friday, March 1, 2019. Two of those female leaders — general Presidents Jean B. Bingham and Bonnie H. Cordon of the Relief Society and Young Women, respectively — were wrapping up a three-nation tour in West Africa. On March 8, they celebrated International Women’s Day by posting a Facebook video greeting. The two leaders, who also visited Nigeria and the Ivory Coast, stood with female missionaries of the Accra Ghana Mission and other Latter-day Saint women outside a chapel. The church’s new “Come, Follow Me” manual boasts an impressive array of art but a not-so-impressive array of female artists. Times and Seasons blogger David Evans notes that of the 76 paintings for which he could identify the creator’s gender, only nine were by female artists. That’s not even 12 percent. A side note: One of the manual’s male artist works comes from the brushes of controversial right-wing painter Jon McNaughton. 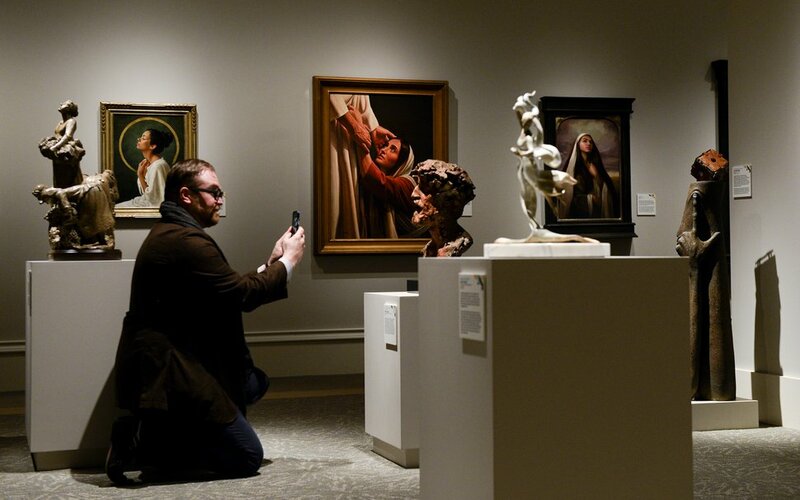 Leah Hogsten | The Salt Lake Tribune Zion Art Society podcaster Micah Christensen takes pictures of the 11th International Art Competition: Meditations on Belief at the Church History Museum on Tuesday. The 11th International Art Competition is underway at the Church History Museum in downtown Salt Lake City. It features “Meditations on Belief” from 151 artists — female and male — representing dozens of countries. The exhibit runs through Oct. 7. 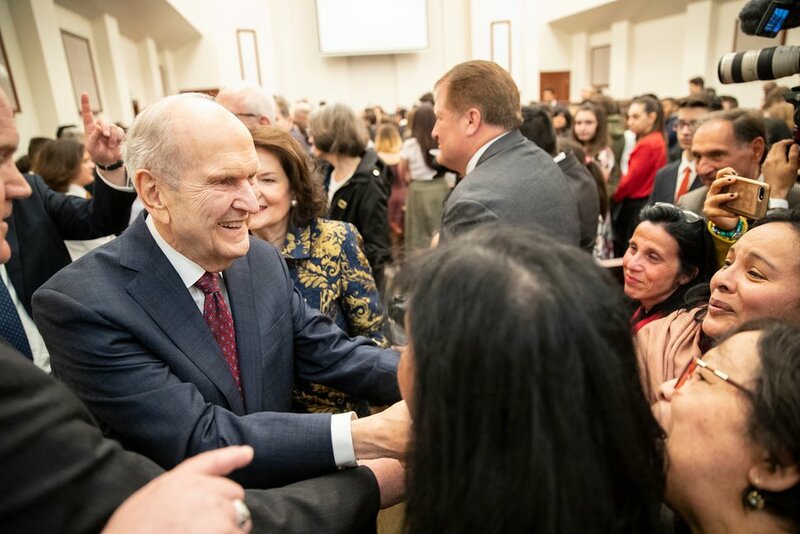 (Photo courtesy of The Church of Jesus Christ of Latter-day Saints) Youths from The Church of Jesus Christ of Latter-day Saints greet President Russell M. Nelson and his wife, Wendy Nelson, at a devotional March 9, 2019. The location for the devotional was special because it was next to the Rome Temple. With all of the extraordinary events surrounding the Rome Temple dedication, some wondered why no youth cultural celebration took place. Those galas are no more. The church announced last fall — about the time it unveiled plans to discontinue many large pageants and with the dedication of the Concepción Temple in Chile — that it was dropping these cultural commemorations in advance of temple dedications. Youth devotionals with visiting church authorities will now be the norm. 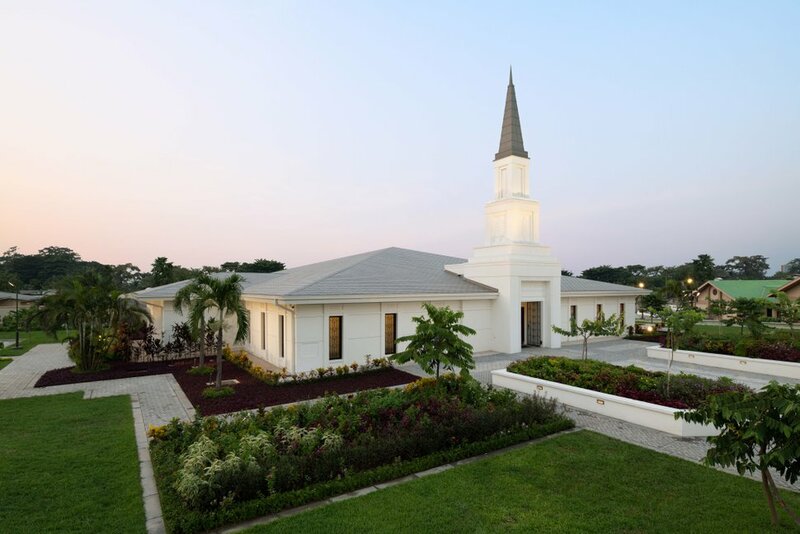 (Photo courtesy of The Church of Jesus Christ of Latter-day Saints) The Kinshasa Democratic Republic of Congo Temple. The church’s fourth African temple is poised to open next month. Public tours of the 12,000-square-foot edifice already are underway in Kinshasa, the capital of the Democratic Republic of Congo, and will continue through March 30. The dedication is set for April 14, according to a news release, with a youth devotional the day before. Africa’s three other operating temples are in Johannesburg, South Africa; Accra, Ghana; and Aba, Nigeria, the release added, with plans for four more on the continent. Across the Atlantic, groundbreakings have been booked for the Quito Temple, Ecuador’s second Latter-day Saint temple (May 11), and the Lima Los Olivos Temple, Lima’s second and Peru’s third (June 8). The Lima Los Olivos and Kinshasa structures — unlike the Quito Temple and most other Latter-day Saint temples — will not have Angel Moroni statues atop them. The Associated Press is listening to a Latter-day Saint prophet’s voice. For months, President Russell M. Nelson has been urging the media to stop using “Mormon” and “LDS” as shortened references for the faith and its members. The Tribune adopted similar style standards several months ago. Scholar Fiona Givens notes that early Latter-day Saint feminists had some unlikely allies in their belief in a Heavenly Mother. Suffragist Elizabeth Cady Stanton, for one. “A Heavenly Father, Mother, and Son would seem more rational” than three male personages, Stanton suggested. The third LoveLoud Festival, the LGBTQ fundraising concert imagined by Imagine Dragons frontman Dan Reynolds, will take the stage June 29. The show keeps growing. It drew 17,000 — and an LDS Church endorsement — its debut year at a Utah Valley University baseball park in Orem. In 2018, 30,000 turned out at a University of Utah football stadium. This year, LoveLoud shifts to the Usana Amphitheatre in West Valley City. The headliner will be superstar pop singer Kesha. Reynolds has said he hopes someday to take the festival beyond Utah to other cities in the U.S. and the world. 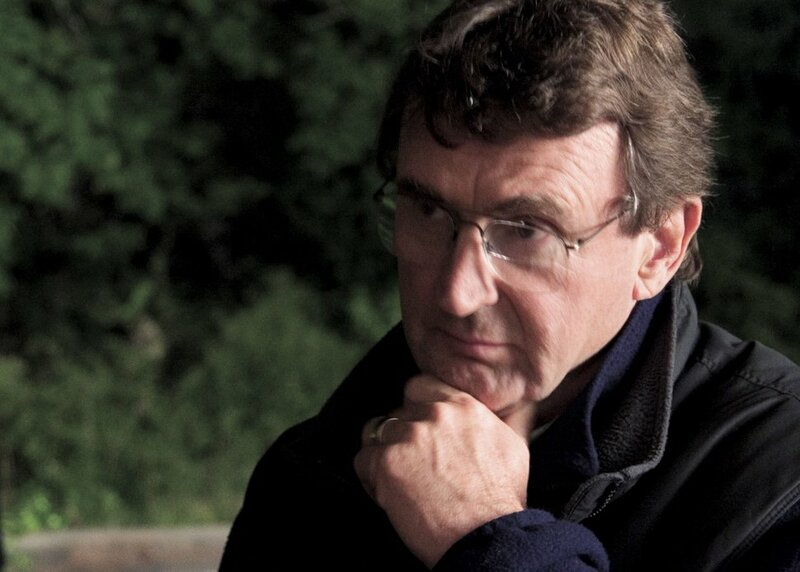 A prominent Latter-day Saint moviemaker who admitted in a recently released recording to molesting a teenage boy more than 25 years ago has resigned as a film professor at the University of Utah. Sterling Van Wagenen, executive producer of last year’s “Jane and Emma” and director two “Work and the Glory” movies, “will not be returning to work at the university,” a spokeswoman for the College of Fine Arts confirmed. 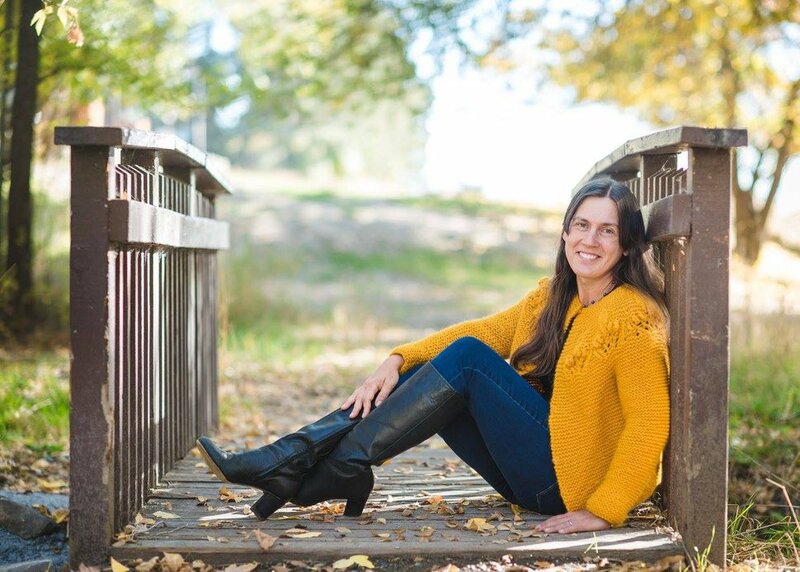 (Courtesy photo) Utah novelist Mette Ivie Harrison.